It is time for Iftar diplomacy, and all parties are hosting Iftar dinners. The “political iftar” supper is seen as a move aimed at “minority appeasement”. 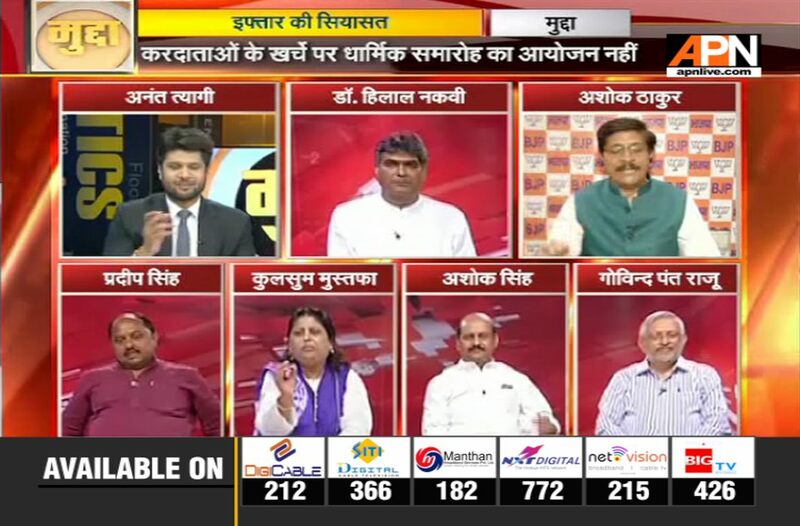 APN’s popular debate Mudda discussed the issue. Anchorperson Anant Tyagi posed the questions to BJP’s Ashok Thakur, Congress’ Hilal Naqvi, SP’s Pradeep Singh, RJD’s Ashok Singh, noted journalist Kulsum Mustafa, and APN consultant Govind Pant Raju.